Billy Dee Williams at Mad Monster Party 2017. Image taken by Pamela Poole. Billy Dee Williams turns 80 years old this week, but don’t let the cane fool you—he’s still the king of smooth. A couple of weeks ago, he sat under a tent in Rock Hill, SC to answer fan questions at Mad Monster Party 2017. As a grown man, Williams won his role in “Lady Sings the Blues” by using a different set of charms. “The audition for ‘Lady Sings the Blues’ was ridiculous,” he said, “I was lucky to get that job.” He credits executive producer Berry Gordy in recognizing the chemistry shared between him and the leading lady, Diana Ross. Williams takes personal ownership of his contribution in the part of creating the personality of Lando, feeling he “sort of invented that character” and “find[s] it very difficult to imagine anybody else being Lando Calrissian.” Indeed, fans find it hard to picture anyone else playing the role. He envisioned making a “roguish, charming, good-looking guy,” and was wildly successful in giving Lando those qualities onscreen. Williams has some favorite scenes while playing Lando in the “Star Wars” movies, including interactions with Darth Vader and getting choked by Chewbacca. “And blowing up the Death Star,” he added. The actor also enjoyed being the voice of Lando in the animated show “Star Wars: Rebels” but doesn’t know if he’ll reprise the role in any future projects. “No one’s asked me to do anything with Star Wars,” he said. “But one never knows. 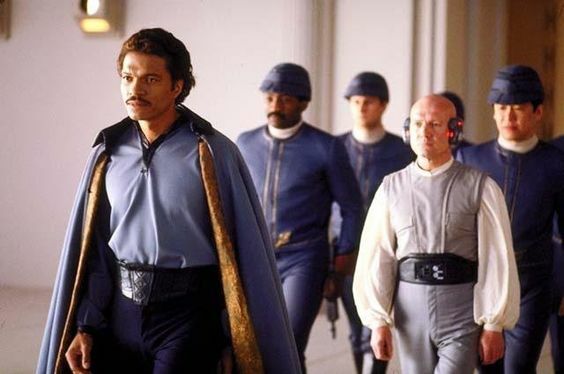 I’m just having a lot of fun with my grandkids right now.” Even so, his PR team hopes that fans will storm Twitter with #bringbacklando in hopes of bringing Williams back for more episodes of “Rebels.” “We’re hoping Disney’s paying attention,” said his public appearances manager, Derek Maki. Amused, Williams said, “I agree,” drawing cheers from the crowd. 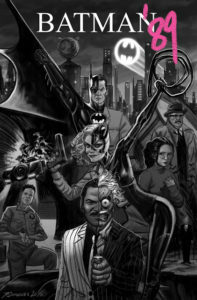 This proposed comic book by Kate Leth and Joe Quinones would have picked up where Tim Burton’s “Batman Returns” left off and would have featured the transformation of Billy Dee Williams’ Harvey Dent into Two-Face. Image courtesy of http://joequinones.blogspot.com. 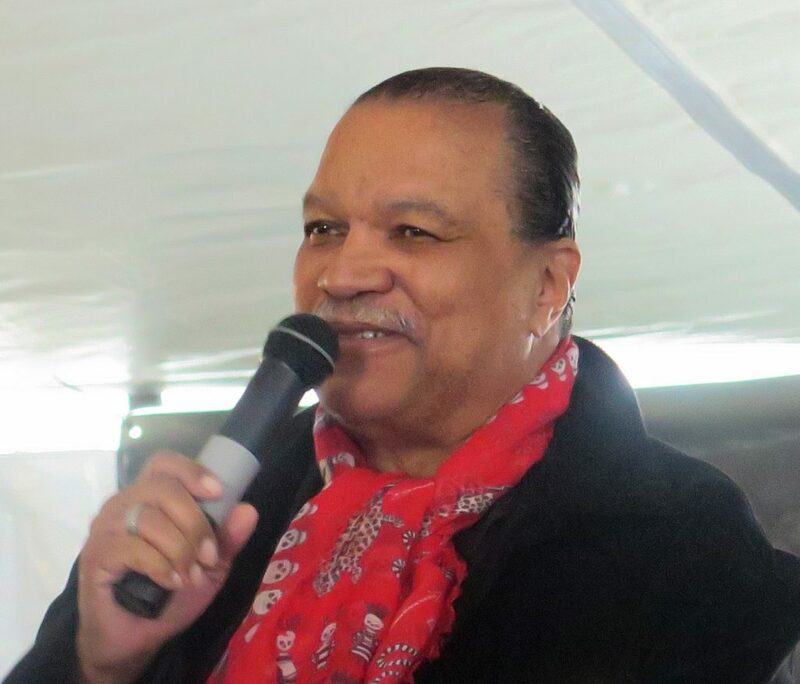 As a successful Hollywood actor, Billy Dee Williams worked with many influential figures in the film industry. He spoke highly of several of them during the panel. As with his early introduction to musical theater as a child, Williams got an early education in the arts. He said, “I went to a school called Music and Art High School, my sister and I—I had a twin sister—and was a straight-A student all through school. . . .When I graduated Music and Art High School I went to a school called the National Academy of Design and the Fine Arts where I spent two years on the scholarship painting.” Still only a teenager while studying at the National Academy of Design and the Fine Arts, Williams earned a nomination for the prestigious Guggenheim award. At 80 years old, this multitalented gentleman still has a lot to contribute to the arts. And that’s a deal that keeps getting better all the time.